Joomla! is only possible because of the contributions of thousands of people. A community of this size requires a great deal of effort. In addition to the core team, hundreds of others participate in important ways as Translation, Development, Sites and Infrastructure, Documentation and Foundation Working Groups members. Joining a working group where your talents are best applied is only one way to contribute to Joomla!. It is the members of this community who drive outreach. Joomla! Days, Joomla! User Groups, local support forums, conference presentations and white papers, special events and meetings, blogs, and, yes, even discussions around the office water cooler, are essential to sustain and grow Joomla! by getting the word out and recruiting talent. Last year, Joomla! Day events were held all across the globe. Special thanks to those who made good things happen in Melbourne, Malaysia, France, Toronto, Sydney, Thailand, California, Norway, Cape Town, Johannesburg, Texas, Brasil, Hungary, Manhattan, Sweden, Finland, Serbia, Cape Town, Nigeria, and New Zealand. If you are interested in organizing a Joomla! Day where you live, learn more in the Joomla! Days board. 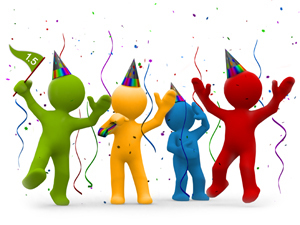 Happy new year to the Joomla! Community. 2007 has been extraordinary, and 2008 is full of promise of even more. In six months Joomla! 1.5 went from Mapya (new) to Karibu (near by). Joomla! 1.0 continued its mature, steady shine with release 13, SunGlow. How did it happen? Starting with Australia in January and ending in December with New Zealand , and around the world in between, Joomla! 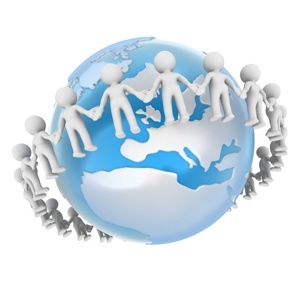 Days brought together the world wide Joomla! Community. As of April there were over 100,000 members of the Joomla! forums and in September the forums went to over a million posts. Following on from the huge success of the Joomla! 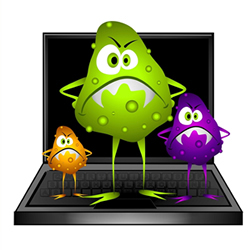 1.5 bug squashing days, please join us for the first world-wide Joomla! 1.5 documentation days starting on 19th January 2008. We will have tasks for everyone; coders and non-coders alike. Our primary aim is to dramatically increase the volume of documentation available for Joomla! 1.5. So far we have locations in Vancouver, Canada and Brussels, Belgium and we hope to confirm other locations soon. For the latest information on locations and other arrangements, please visit the Joomla! Doc Camp wiki page. Please note that space at these locations is limited, so don't register unless you are certain you can come. Just a week and a half ago people from all over the globe gathered in various locations to do a little Bug Squashing... today the fruits of their labour can be revealed as we announce the release of Joomla! 1.5 RC4. This release is code named Karibu which is Swahili for nearby, close, close by, at hand... all terms that we feel reflect the nature of this release. More so than any previous, this release really has been one of unprecedented community involvement with people from all the various Working Groups as well as others banding together to help increase momentum as we head for a stable release. There is an enormous amount of energy building up around the 1.5 release and it is inspirational being a part of the process. Join us for the first world wide Joomla! 1.5 bug squashing days on 8th, 9th and 10th of December, in Washington, DC, New York, NY, Mountain View, CA, San Francisco, CA, Vancouver Canada and Brussels Belgium . On the menu are Joomla! 1.5 bugs, sweet Coffee, lemonade, Pizza and of course a lot of fun! The challenge is to squeeze the exiting priority 1 & 2 bugs and to test as much as we can. If we end up with an empty tracker this would be the perfect result for those events. The development working group has a dream ... an empty bug tracker and many people intensivly testing 1.5." Please note that space is limited, so don't register unless you are certain you can come. We will create several groups based on your skills. People with development knowledge in Joomla! 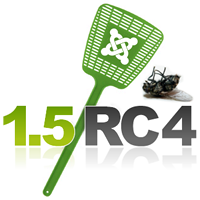 1.5 can help squeezing bugs, people with experience in Joomla! can test and make sure there are no bugs missing. If you can't join us in person, come join us on IRC (#joomlapbf @ freenode.). For more fun, you can even organize a local bug squashing by finding a space with room for you and some others to work, and getting some food. Just join in the IRC so you know what is happening elsewhere. All the bugs fixed at these events will go straight into the trunk of 1.5 ready to be released with the upcoming RC4. Ladies don't miss this sensational moment! Joomla! Wins 'Best CMS Award' Again!